Portland in the Summer! - Live. Love. Laugh. Food. Back again to Portland for a quick couple of days and then off to Oregon’s coast to spend some time with my family. 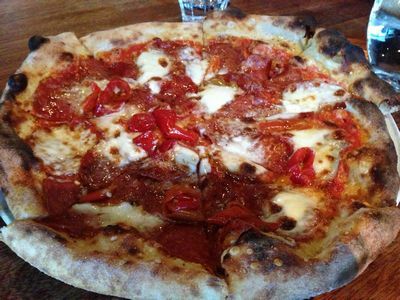 For a nice lunch – Clyde Common in the Ace Hotel in downtown Portland is a great spot. The food is always amazing and it never disappoints. 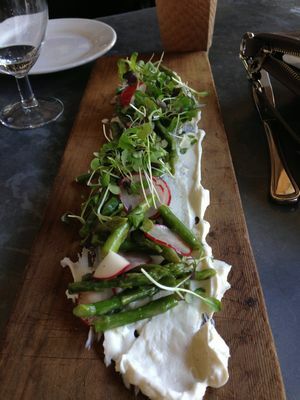 For starters, the Asparagus Salad with Whipped Buttermilk Ricotta was fresh and delicious. I especially loved the presentation of the dish with a large smear of cheese across a wooden plank and topped with fresh veggies including crisp radishes. 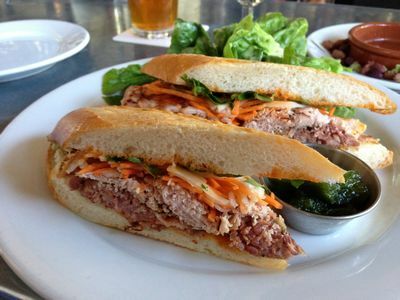 Next, the Country Pate’ with Smoked Pork Loin and Daikon Slaw was seared with a light crunch and topped with a cool tangy sauce on a soft baguette. The best sandwich of the weekend. 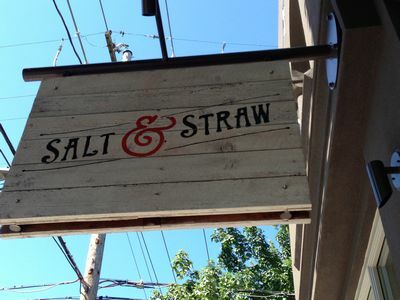 Off to explore the shops on 23rd Street in Portland, we stopped in for a cone at Salt & Straw. The ice cream was creamy and fresh with flavors to please all. I recommend the Strawberry with Cilantro Lime Cheesecake. Fantastic! 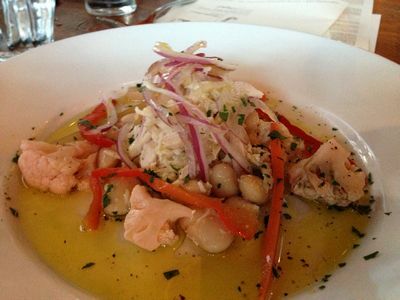 For dinner, Nostrana for Italian food just across the river. Executive Chef Cathy Whims has been creating great cuisine for years now. 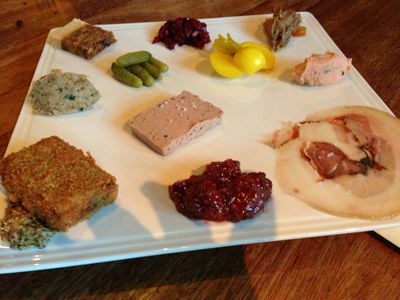 The charchuterie platter offers an array of assorted beef, lamb and pork pates, rillettes and smoked salmon mousse. The strawberry mostarda was outstanding to spread with the assorted meats. 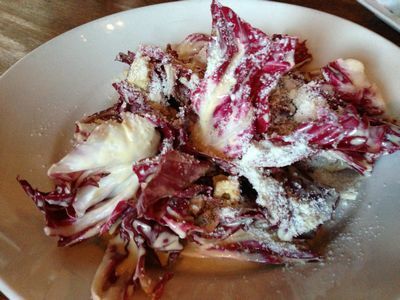 The Insalata Nostrana with fresh Radicchio and Parmesan with a Caesar Style Dressing was zesty and delicious as well as the Salad of Cannellini Beans and Tuna Conserva. 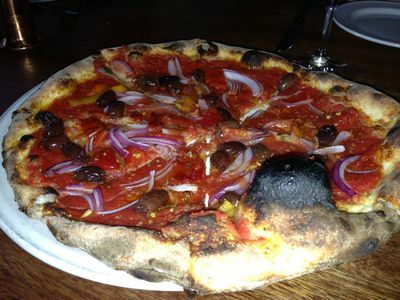 The wood fired pizza with charred crusts were fantastic too – my favorite was the tomato, red onion and Mama’s lil’s peppers with wild oregano. It was Gnocchi Thursday the night we dined so, Gnocchi alla Romana with baked Semolina, Smoked Mozzarella, Porcini and Cream hit the spot. 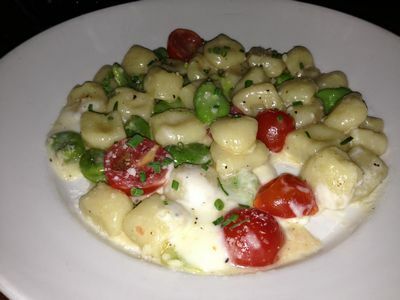 Also, the gnocchi with robiola cheese, cherry tomatoes and fava’s was terrific as well. For entrees, the Salmon with Salsa Verde and Lentils was a Pacific Northwest favorite but, the Pork Belly Porchetta with a crispy exterior and tender on the inside was the best I had ever tasted. 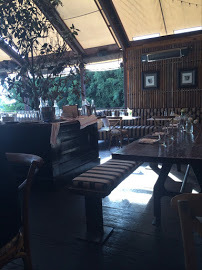 The food and service at Nostrana was superior and I will definitely be returning. After we toured Oregon’s Coast for a few days we returned to Portland for a quick sandwich at Lardo. 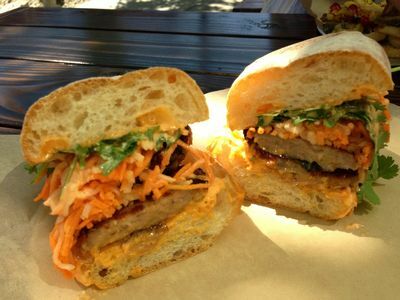 The Pork Meatball Bahn Mi with pickled veggies on Ciabatta was good. 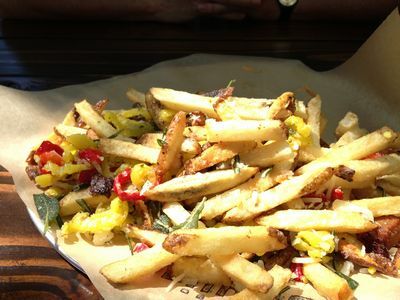 And the dirty fries with mild peppers and lardons were flavorful as well but, I enjoyed Clyde Common a bit more. 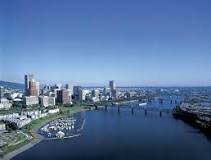 I love going to Portland and summertime is the right time to go if you are looking for bright sunny warm days. 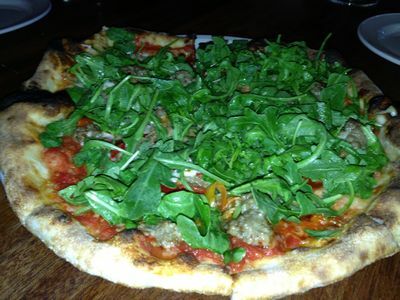 Anytime is the right time for me….considering all the wonderful food choices. 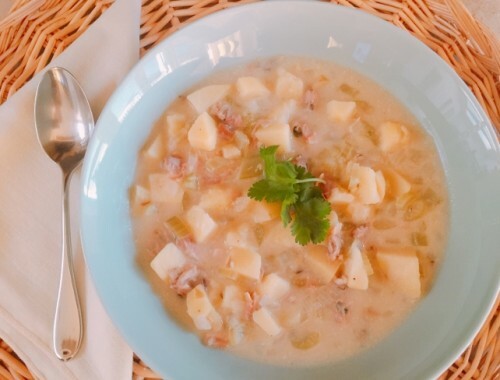 Sunday Supper Favorites – Recipes! 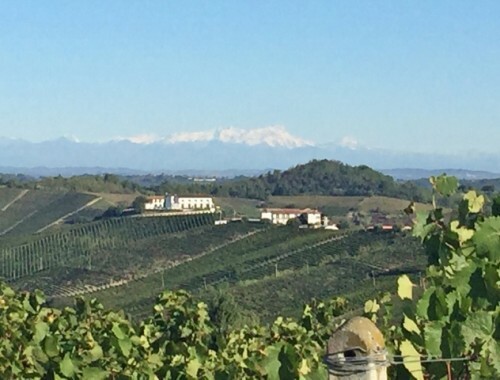 Travels to Piedmont Italy – Food, Wine & Biking Tour 2015!